They fetch the water from ocean and bring the water to the land - without anyone asking them to do. They dont distinguish between good and bad, wealthy and poor, etc - they simply drop the water as rain. They are dark in complexion which indicates that they are full with water and are ready to generously distribute the same. Similarly, emperumAnAr also brings the essence of knowledge from sAsthram and give the same out to everyone without distinguishing between the qualified and unqualified. He was fully focussed on the upliftment of jIvAthmAs and always focussed on helping others spiritually. In srIvachana bhUshaNam, piLLai lOkAchAryar beautifully highlights the main quality of periyAzhwAr and emperumAnAr. Let us take a look at that now. 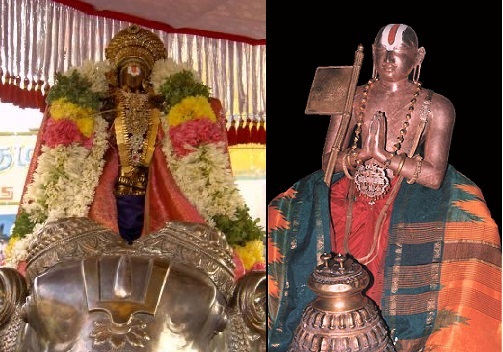 While explaining the importance of mangaLAsAsanam (praying for the well being of bhagavAn), periyAzhwAr is greatly glorified by piLLai lOkAchAryar. periyAzhwAr is identified as the one who is always focussed on mangaLAsAsanam. In sUthram 255, emperumAnAr is grouped along with periyAzhwAr and is explained to be always looking out for the well-being of bhagavAn. Simple translation: Unlike other AzhwArs/AchAryas who instruct their sishyas to shed the loneliness of the teacher and the student, periyAzhwAr and bhAshyakArar (emperumAnAr) instructs their sishyas so they become kainkaryaparars (servitors) to bhagavAn and thus shed bhagavAn's loneliness. AzhwArs/AchAryas were focussed on giving true knowledge to jIvAthmAs and uplifting them. They were also looking out for having sAdhu sangam always - developing sishyas with full auspicious qualities so that they will have good company of each other while being in samsAram. But periyAzhwAr and emperumAnAr were focussed on the divine form of bhagavAn and the beauty of it. So, they were always worried about emperumAn and looking out for his well-being. mAmunigaL identifies that piLLai lOkAchAryar used the name bhAshyakArar instead of emperumAnAr to highlight the greatness of srI rAmAnuja that he is not an ordinary person but the one who firmly established the principles of vEdhAntham through srI bhAshyam (and thus we can also understand that the essence of vEdhAntham is mangaLAsAsanam). 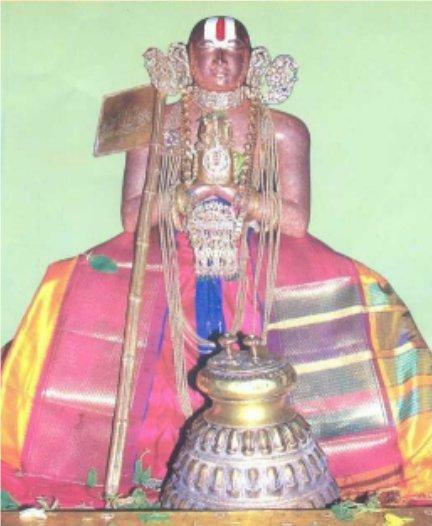 In AchArya hrudhayam chUrNikai 204, azhagiya maNavALa perumAL nAyanAr highlights the merciful nature of sIthA pirAtti (sri mahAlakshmi), prahlAdhAzhwAn, vibhIshaNAzhwAn, nammAzhwAr and emperumAnAr. Simple translation: Mother (sIthai), son (prahlAdhan who is son of hiraNyakasipu), younger brother (vibhIshaNan brother of rAvaNan), him (nammAzhwAr in this context) and the one who is surrendered to him (emperumAnAr who is surrendered to nammAzhwAr) are the only ones who have these qualities. mamunigaL gives a detailed explanation in his vyAkyAnam. sambhandha gyAnam - that every jIvAthmA (in samsAram and paramapadham) have the same relationship with bhagavAn, mainly pithA-puthra (father-son) sambhandham and sEshi-sEsha (master-servant) sambhandham. Some realize that and others dont. most merciful - bhagavAn himself gives up on these jIvAthmAs due to their engagement in material activities. But these personalities being most merciful, they want to help such jIvAthmAs in their situation and establish their relationship with bhagavAn properly. sIthA pirAtti was so merciful that she instructed rAvaNan who had bad intentions towards her. sIthai being the mother of all, mercifully ignored rAvaNan's acts just like a mother will ignore her own bad child's mis-deed. 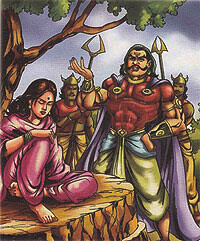 She further asked rAvaNan to become friends with srI rAma and save himself from destruction. prahlAdhan instructed his own father who condemned him with so many punishments for being devoted to vishNu. He also instructed the asura children (in gurukulam) with the principles of bhakthi even though they did not have any intention to learn such knowledge. 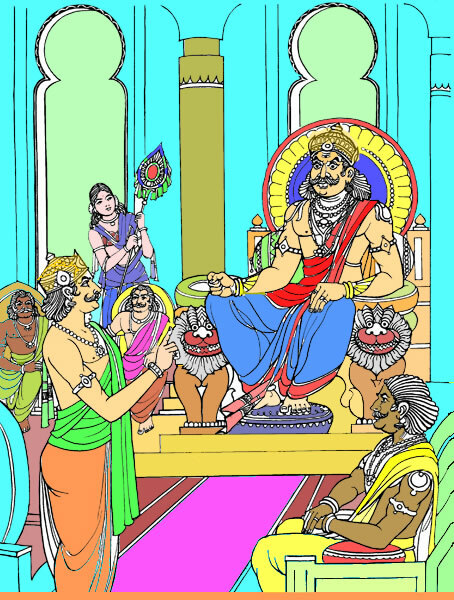 vibhIshaNan also gave good advice to rAvaNan even though he has insulted several times. He was always concerned and wanted to help his brothers and reform them. nammAzhwAr mercifully instructed jIvAthmAs who are fully engaged in materialistic activities and were not interested in bhagavadh vishayam at all. 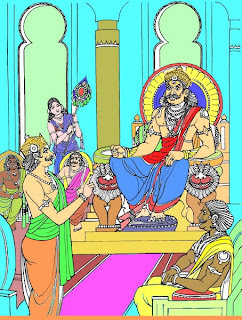 Finally, emperumAnAr who is identified as the lotus feet of nammAzhwAr, himself took up so many hassles to learn the secret knowledge of sAsthram but instructed the same to the ones who were interested to learn the same without any pre-requisites. He also, established many of his sishyas as AchAryas and asked them to teach this valuable knowledge to whoever is interested in learning them. emperumAnAr's divine glories are fully revealed in charamOpAya nirNayam (http://ponnadi.blogspot.com/p/charamopaya-nirnayam.html) by nAyanArAchAn piLLai. In upadhEsa rathina mAlai, maNavALa mAmunigaL highlights the main quality of emperumAnAr which brings him so much praise from every one. Let us enjoy that a little bit here. In pAsuram 37, mAmunigaL highlights the difference between emperumAnAr and the AchAryas before him. Simple translation: Before emperumAnAr, AchAryas were very selective in giving out the divine knowledge. They would fully test the sishya to find out if he is deserving, accept lots of service from the sishya and when satisfied, they will teach the divine knowledge. But emperumAnAr, seeing the difficulties one has to go through to get this knowledge and wanting to help everyone who is interested in bhagavath vishayam, established 74 AchAryas (his own sishyas) and asked them to teach this knowledge freely for the ones who desire to learn the same. He also taught by example in many occassions by teaching this knowledge to everyone who desires. Of the AchAryas, before emperumAnAr, they were called anuvruthi prasannAchAryas (one who expects their sishyas to serve them quite a bit before giving out the knowledge). But emperumAnAr was the first krupA mAthra prasannAchArya (out of his own mercy he gave out the divine knowledge to sishyas). Thus we have seen the magnanimous nature of emperumAnAr briefly through the words of thiruvarangathu amudhanAr, piLLai lOkAchAryar, azhagiya maNavALa perumAL nAyanAr, nAyanArAchAn piLLai and maNavALa mAmunigaL. This is why our AchAryas always hailed emperumAnAr as the only refuge. Let us also meditate on emperumAnAr's lotus feet and accept that he is the only refuge for us.